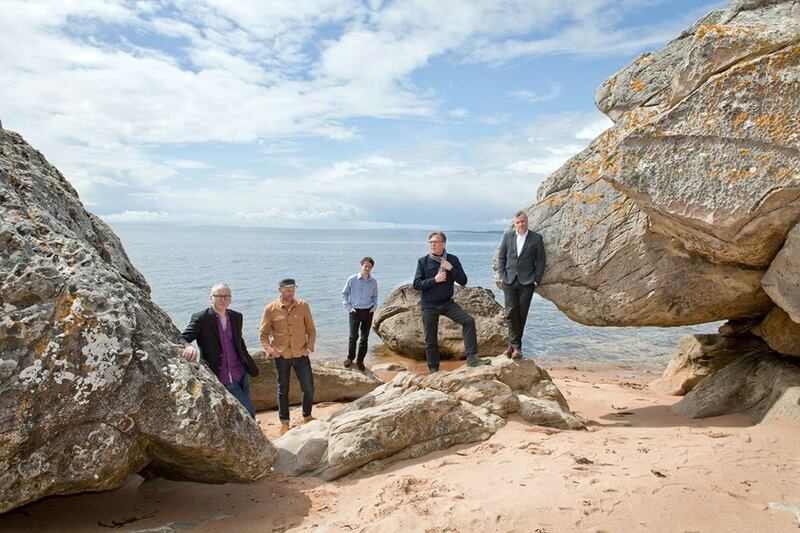 TEENAGE FANCLUB-SCOTLAND’S BIG STARS AND KINGS OF JANGLE POP. Not many Scottish bands have enjoyed the longevity and commercial success that Teenage Fanclub have. Scotland’s Kings of jangle pop have been together four decades, have released ten albums and toured the world several times. Still though, Teenage Fanclub still going strong, and must be contenders for the 2017 Scottish Album of The Year Award with their tenth album Here. It was released in 2016, twenty-eight years after the Teenage Fanclub story began. It was in Bellshill, Lanarkshire, a small town twelve miles from Glasgow, that Teenage Fanclub were born in 1989. The nascent band emerged out of Glasgow’s C86 scene, and had been inspired by West Coast bands like The Beach Boys and The Byrds. Another major influence on Teenage Fanclub were Big Star, who Teenage Fanclub would be later be compared to. Unlike Big Star, Teenage Fanclub were a five piece band. The original lineup featured guitarist Norman Blake, lead guitarist Raymond McGinley, bassist Gerard Love, drummer and Francis MacDonald. Teenage Fanclub’s three principal songwriters shared lead vocal duties. That was the case on their debut album. Just a year after the band was founded, Teenage Fanclub released their debut album in 1990. A Catholic Education would later be described as a quite un-Teenage Fanclub album. The music was dark, harsh and peppered with cynicism and controversy. Most of the controversy stemmed from Teenage Fanclub’s decision to turn their sights on Catholic church. For a band from a city divided by religion, that was a controversial move, and one that could alienate people. What made the decision to “attack” the Catholic church, was that Teenage Fanclub prided themselves on being apolitical band. The other surprise for a band who admired The Byrds, The Beach Boys and Big Star was the sound of A Catholic Education. For much of A Catholic Education, Teenage Fanclub unleashed a mixture of grunge and heavy metal. The only hint of what was to come from Teenage Fanclub was the Norman Blake penned Everything Flows. It was a glorious slice of power pop. This was something that Teenage Fanclub would return to later. Before that, A Catholic Education was released on June 11th 1991. Before that, critics reviewed A Catholic Education. Reviews of the album were mixed, and very few critics forecast the critical acclaim and commercial success that came Teenage Fanclub’s way. When A Catholic Education was released by Matador, the album failed to even trouble the British or American charts. It was an inauspicious debut from Teenage Fanclub. 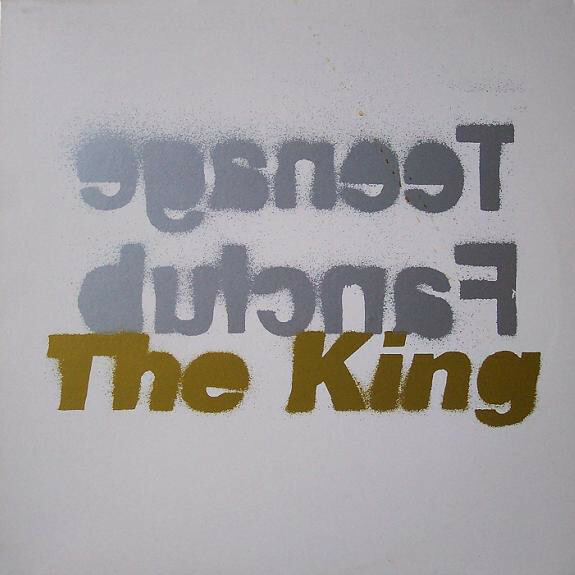 Just two months later, and Teenage Fanclub released their sophomore album, The King. However, in reality, The King was a quickly assembled collection of tracks. The tracks that became The King had been recorded once Teenage Fanclub had completed what would be their third album, Bandwagonesque. Quickly, Teenage Fanclub recorded nine tracks, including covers of Madonna’s Like A Virgin and Pink Floyd’s Interstellar Overdrive. Once The King was recorded, Teenage Fanclub were hoping this would allow them to escape their contractual liability to Matador. This could have backfired. Teenage Fanclub owed Matador an album. If they accepted The King, then they had fulfilled their contractual obligations. There was the possibility that the album could be rejected, if Matador didn’t believe the album was of a certain commercial standard. Fortunately, they didn’t. That’s despite covers of Madonna’s Like A Virgin and Pink Floyd’s Interstellar Overdrive. The King wasn’t exactly Teenage Fanclub’s finest hour. Despite this, Matador released in August 1991. Reviews of The King hadn’t been favourable. Despite this, The King reached fifty-three in the UK charts. It was almost ironic. Very few critics thought that The King would even trouble the charts. Teenage Fanclub had the last laugh. Free from all encumbrances, the Teenage Fanclub signed to Creation Records. Now signed to Alan McGhee’s Creation Records, Teenage Fanclub like a magician pulling a rabbit from a hat, delivered the completed version of Bandwagonesque. It had been recorded at Amazon Studios, Liverpool, between 9th April to 12th May 1991. 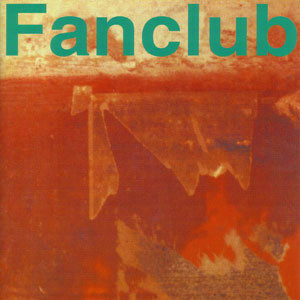 It featured twelve songs, were Teenage Fanclub came of age musically. Just like previous albums, songwriting duties were split between the band members. Raymond McGinley wrote I Don’t Know; Norman Blake penned four songs; Gerard Love wrote five and cowrote Sidewinder with Brendan O’Hare. The only track credited to Teenage Fanclub was Satan. Teenage Fanclub were maturing as songwriters and musicians. When it came to choosing a producer for Bandwagonesque, the partnership of Paul Chisholm, Don Fleming and Teenage Fanclub returned. They were responsible for an album that stood head and shoulders above Teenage Fanclub’s two previous albums, Bandwagonesque. On Bandwagonesque Teenage Fanclub’s trademark ‘sound’ began to take shape. It had been influenced by The Byrds and Big Star. Byrdsian, jangling guitars were joined by close, cooing, harmonies and a melodic fusion of indie rock and hook-laden power pop. Seamlessly, though, Teenage Fanclub could switch between laid back and melodic to a much more powerful, rocky sound. This would find favour with critics and record buyers. Before Bandwagonesque was released, critics had their say on the album. For once, critics were in agreement, and there were no dissenting voices. Bandwagonesque critics agreed, was one of the finest albums of 1991. No wonder, with songs of the quality of The Concept, What You Do To Me, Star Sign, Alcoholiday and s This Music? 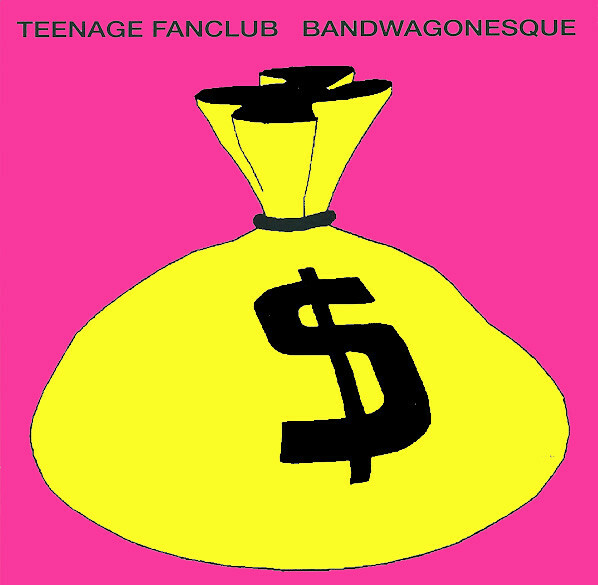 For Teenage Fanclub, Bandwagonesque was a career defining album. Spin Magazine went further, and named Bandwagonesque its best album of 1991. Things were looking good for Teenage Fanclub. Especially when Star Sign was released in August 1991, and reached number four on the US Modern Rock charts. Meanwhile, Star Sign stalled at just forty-four in the UK. The followup The Concept, a rocky anthem, reached a disappointing fifty-one in the UK, but reached number twelve on the US Modern Rock charts. Teenage Fanclub’s music was finding an audience in America for the first time. Maybe Teenage Fanclub’s third album would find them cracking America for the first time? That was the case. When Bandwagonesque was released on 19 November 1991, it reached number twenty-two in the UK, and 137 on the US Billboard 200. Teenage Fanclub it seemed, were going places. Having toured Bandwagonesque, and enjoyed their newfound fame, eventually, Teenage Fanclub’s thoughts turned to their fourth album. This they would name after an album by one of their favourite bands. Unlike most bands, Teenage Fanclub wasn’t reliant on one or two songwriters. Everyone contributed songs. That was the case with their fourth album, Thirteen, which was named after a song by Big Star. The four members of Teenage Fanclub had all contributed songs for Thirteen. Gerard Love had penned five, Norman Blake four, Raymond McGinley two and Brendan O’Hare one. These thirteen songs would be recorded in Glasgow’s CaVa Studios. When work began in October 1992, Teenage Fanclub had decided to produce Thirteen themselves. They had co-produced their first three albums, so felt ready to make the step up. The only problem was, it took six months to record Thirteen. This was quite unlike Teenage Fanclub. They usually recorded albums quickly. Maybe they were missing a co-producer? If Teenage Fanclub had employed a co-producer, they would’ve been a sounding board for the band. They would’ve also ensured they didn’t spent too long on tracks, honing, polishing and perfecting them. That’s what seemed to have happened. Eventually, Thirteen was finished by April 1993. This left six months before the album was released. Prior to the release of Thirteen, critics received their advance copies of the album. They didn’t like the album. That’s an understatement. Critics seemed to loathe the album. Reviews of Thirteen were scathing. That’s despite songs of the quality of Hang On, Norman 3, Radio and Song to the Cynic. For Teenage Fanclub this was a huge blow. At least when the lead single from Thirteen, Radio was released in August 1993, it reached number thirty-one in UK. The followup Norman 3, was released in September 1993, but stalled at just fifty in the UK single’s charts. This was another disappointment for Teenage Fanclub. Despite the disappointing reviews and failure of the single Norman 3, Teenage Fanclub’s fortunes were set to improve. When Thirteen was released in October 1993, it reached number number fourteen in Britain. 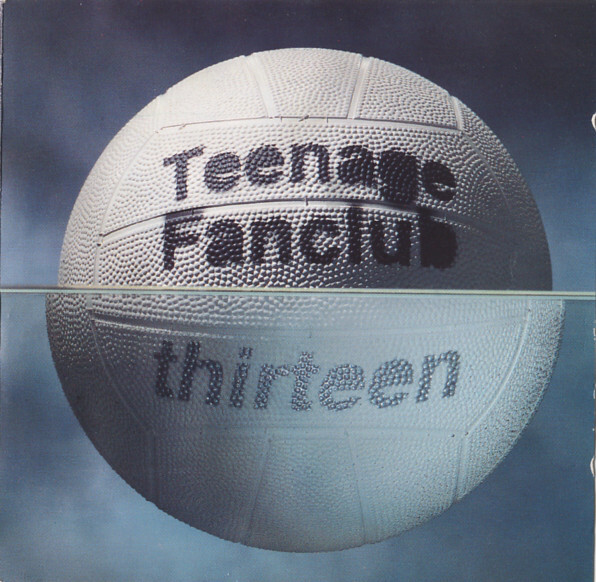 This meant Thirteen was Teenage Fanclub’s most successful British album. The only disappointment was that Thirteen failed to trouble the US Billboard 200. This wasn’t the only disappointment for Teenage Fanclub. After the release of Thirteen, drummer Brendan O’Hare announced he was leaving Teenage Fanclub. The usual “musical differences” were cited, and Paul Quinn, the former Soup Dragons’ drummer was drafted in to replace Brendan O’Hare. For Teenage Fanclub, this was a worrying time. There was one small crumb of comfort though. In February 1994, Hang On was released as the third and final single from Thirteen. It reached number nineteen on the US Modern Rock charts. Little did Teenage Fanclub realise that it was the last hit single they would enjoy in America. Although Thirteen had been the most successful album of Teenage Fanclub’s career, the scathing reviews hurt. They had spent six months recording, honing and perfecting Thirteen. To make matters worse, Brendan O’Hare had left the band. This was a testing time for Teenage Fanclub, as they began work on their fifth album. For the new album, thirteen songs were written. Norman Blake wrote five songs, while Gerard Love and Raymond McGinley penned four each. These songs would become Grand Prix. Recording of Grand Prix began on 5th September 1994. By then, Teenage Fanclub had decided to employ a co-producer, David Bianco. He became their sounding board over the next month spent recording at The Manor, Shipton-On-Cherwell. Just over a month later, on the 9th October 1994, Grand Prix was complete. Little did they realise they had recorded one of their finest albums. When critics heard Grand Prix, they were in no doubt, the album was a minor classic. It veered between melodic and melancholy, became ruminative and rocky. Grand Prix literally oozed quality, with About You, Sparky’s Dream, Don’t Look Back, Neil Jung and I’ll Make It Clear showcasing Teenage Fanclub’s considerable musical skills. They seemed to have been stung by the criticism of Thirteen, and returned with the best album of their career. When Grand Prix was released on May 29th 1995, it was a hit on three continents. In the UK Grand Prix reached number seven, becoming the most successful album of their career. Elsewhere Grand Prix reached sixty-eight in Japan and fifty-seven in Australia. Teenage Fanclub were now one of the biggest indie bands in Britain. What made the rise and rise of Teenage Fanclub all the more incredible was that they had only been formed in 1989. Since then, they had released five albums, and were popular across the globe. By 1996 Teenage Fanclub were ready to record a new album. Just like previous albums, the band’s songwriters got to work. Norman Blake wrote three songs and cowrote Planets with former band member Francis MacDonald. Gerard Love and Raymond McGinley both wrote four songs. These songs were recorded at some of London’s top studios with co-producer David Bianco. Some of Songs From Northern Britain was recorded at Abbey Road Studios, while other sessions took place at AIR Studios. Other sessions saw Teenage Fanclub head to leafy Surrey, and Rich Farm Studios. Eventually, Teenage Fanclub had recorded their sixth album, which was released in summer 1997. 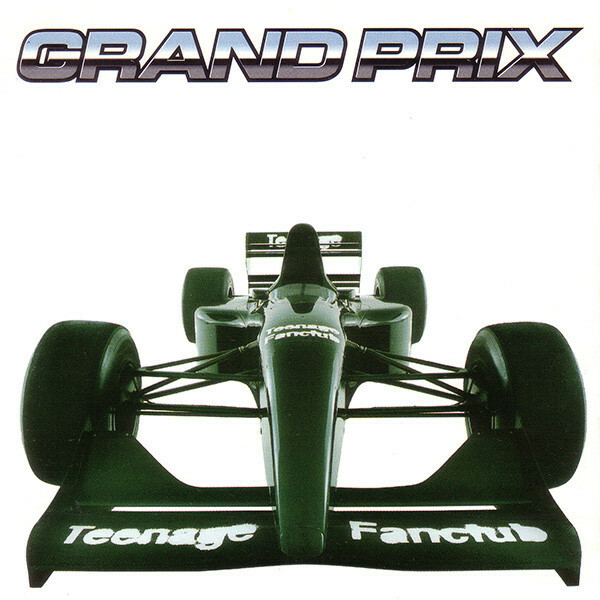 Songs From Northern Britain which was a tongue-in-cheek reference to the Britpop movement, saw Teenage Fanclub pickup where they left off on Grand Prix. It was another album of carefully crafted songs, including Start Again, Can’t Feel My Soul, Don’t Want Control of You and I Don’t Care. Despite an album that was variously cerebral, defiant, hook-laden, joyous, melodic, mellow, playful and reflective critics were undecided. Some loved the album, other loathed it. Rolling Stone which had been supportive of Teenage Fanclub, set their sights on the band. Not for the first time, were Rolling Stone left with egg on their face. On 29th July 1997, Songs From Northern Britain was released. It reached number three in Britain, and became Teenage Fanclub’s most successful album. In Australia, Songs From Northern Britain reached number seventy. Elsewhere, including America, Teenage Fanclub continued to be a popular live draw. However, they sold more albums in Britain, than anywhere else. Buoyed by the success of Songs From Northern Britain, Teenage Fanclub were keen to begin work on the followup, Howdy! It was the first album of Teenage Fanclub’s post Creation years. After Songs From Northern Britain, Teenage Fanclub signed to Columbia, which was owned by Sony. At last, Teenage Fanclub were signed to a major label. They would’ve had the financial muscle and expertise to help Teenage Fanclub make a breakthrough in new musical markets. This included America, which had embraced Bandwagonesque. Since then, commercial success eluded Teenage Fanclub stateside. Howdy! was a new beginning for Teenage Fanclub. For their Columbia debut,Gerard Love, Norman Blake and Raymond McGinley had written four tracks each. They became Howdy! which was produced by Teenage Fanclub. After two albums co-produced by David Bianco, Teenage Fanclub decided to produce the album themselves. They were now an experienced group, who were about to record their seventh album. Howdy! was recorded at Rockfield Studios between November 1998 and March 1999. 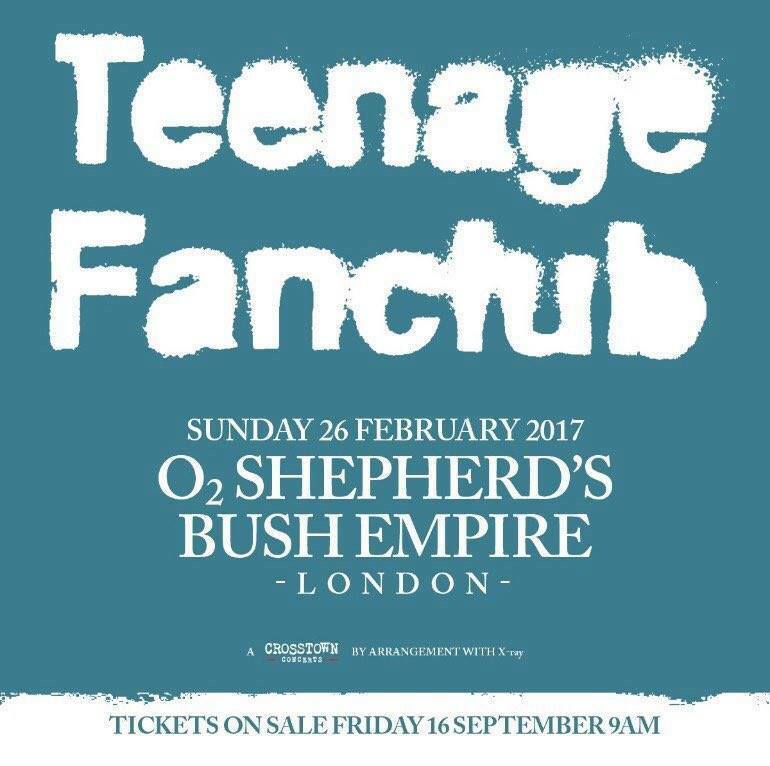 In the midst of the Rockfield sessions, Teenage Fanclub adjourned to the London Astoria for some overdubbing. 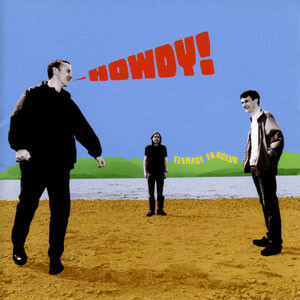 Once that was completed, Teenage Fanclub returned to Wales, to complete Howdy! After five months Howdy! was ready for release. Now Columbia’s marketing machine sprung into action, preparing for an October 2000 release date. Before that, reviews of Howdy! were published. The reviews were mixed, with some critics writing scathing reviews, while others praised Howdy! Especially, songs like I Need Direction, I Can’t Find My Way Home, Near You and The Town and The City. On the back of the mixed reviews, Teenage Fanclub made their major label debut. Howdy! was released in October 2000, but disappointingly, stalled at a lowly thirty-three in Britain. Elsewhere, things weren’t much better. Teenage Fanclub failed to make an impact in America, where they were still popular. However, Howdy! failed to make any impression in America. Things hadn’t gone to plan for Teenage Fanclub. Following the commercial failure of Howdy!, it came as no surprise when Columbia and Teenage Fanclub parted company. Teenage Fanclub were without a record label. However, it would five years before they released the followup to Howdy! Before that, they released a collaboration with Jad Fair. Words Of Wisdom and Hope. 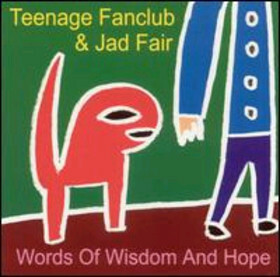 Following the release of Howdy!, Teenage Fanclub began work on a collaboration with Jad Fair, the former Half Japanese lead singer. They cowrote twelve songs which became Words Of Wisdom and Hope. Most of Words Of Wisdom and Hope were recorded at Riverside Studios, Glasgow. Three songs were recorded in Finnieston, in Glasgow. By then, Teenage Fanclub and Jad Fair decided to co-produce the album. This could prove to be a case of too many cooks. The proof would be in the eating…by the critics. Reviews of Words Of Wisdom and Hope were mixed. Some critics really disliked the album, and penned scathing reviews. Other reviews were mixed, with there seemingly no middle ground. Words Of Wisdom and Hope seemed to be an album critics loved or loathed. Record buyers had the casting vote. Geographic Records release Words Of Wisdom and Hope in March 2002. The album wasn’t a commercial success, and both parties came away licking their wounds. It was unlikely that the project would be repeated. There was no appetite for a followup. 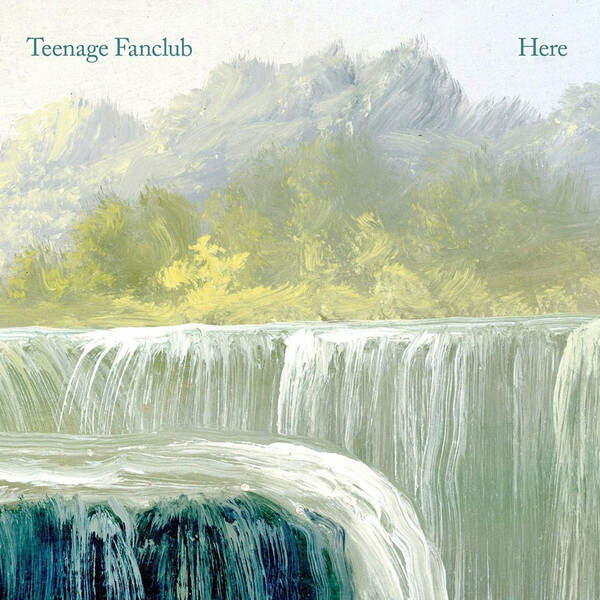 A new Teenage Fanclub album was a whole new ball game. It wasn’t until 2004 that Teenage Fanclub began work on their eighth album, Man-Made. Again, the album featured twelve songs with Norman Blake, Gerard Love and Raymond McGinley contributing three songs each. Teenage Fanclub it seemed, was a bastion of musical democracy where each of the band’s songwriters got the opportunity to showcase their songwriting skills. With each album, Norman, Gerard and Raymond matured as songwriters. Given it had been four years since Howdy!, they had plenty of time to work on new songs. These new songs became Man-Made, which featured a new band member. Ever since drummer Brendan O’Hare left after the release of Thirteen, Paul Quinn had been his replacement. However, Paul Quinn had left Teenage Fanclub, and was replaced by Francis MacDonald. He made his recording debut on Man-Made. Teenage Fanclub played no part in the production. Maybe this would result in a change of fortune for Teenage Fanclub? Man-Made was well received by most critics. They were impressed by the quality of songs like It’s All in My Mind, Nowhere, Only With You and Born Under A Good Sign. Still, there were a few critics that weren’t convinced by Teenage Fanclub’s comeback album. However, things were looking good for Teenage Fanclub, who had decided to found their own label. Rather than look for a new label in Britain, Teenage Fanclub decided to found their own label, PeMa. It would released Man-Made in Britain, while Merge Records would release the album in North America. 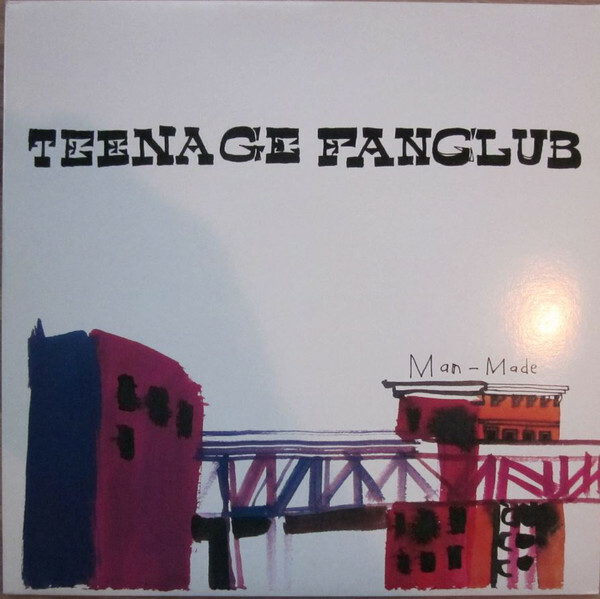 Teenage Fanclub’s eighth album Man-Made, was released in Britain in May 2005, and reached number thirty-three in Britain. This was a slight improvement on Howdy! The only downside was the album’s failure to make an impression in America. Maybe things would be different next time around? Five years passed before Teenage Fanclub returned with the followup to Man-Made. Gone were the days when Teenage Fanclub released an album every two years. These days were long gone. Albums no longer were selling in the same quantities. Teenage Fanclub had discovered that when they released Man-Made. Despite that, Teenage Fanclub headed back into the studio in August 2008. When Teenage Fanclub entered the studio, they had a new member. David McGowan who had played on several Teenage Fanclub albums, was promoted, and became a full member of the band. Teenage Fanclub were now five. The five members of Teenage Fanclub entered the studio to record twelve songs. For Shadows, Norman Blake, Gerard Love and Raymond McGinley had written three songs each. Recording took place at Leeders Farm, Norfolk. Raymond’s Place, Glasgow and Rockfield Studios, Monmouthshire. With Shadows complete, it would be another two years before the album was released. It was announced by PeMa that Shadows would released on 31st May 2010. Before that, critics had their say on Teenage Fanclub’s ninth album. The reviews of the album were mixed, ranging from favourable to critically acclaimed. Mostly, critics agreed that Shadows was a return to form from Teenage Fanclub. They had released an album that was variously beautiful, melodic and timeless. On the release of Shadows, it reached number thirty in Britain. 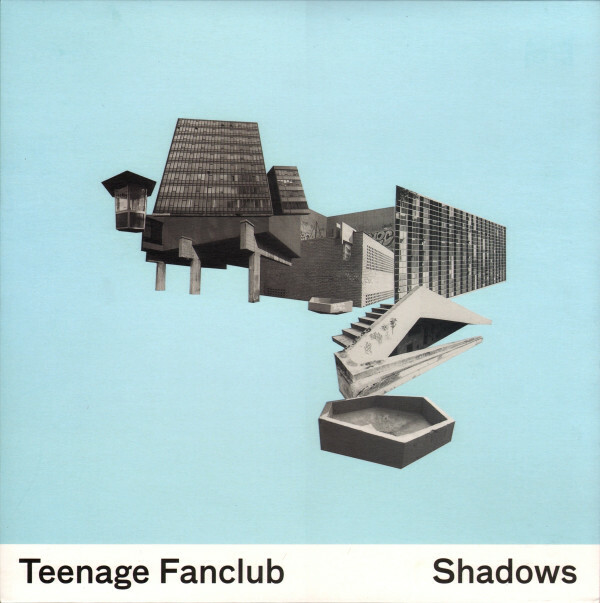 This meant that Shadows was the most successful album Teenage Fanclub had released since 1997s Songs From Northern Britain. Maybe Teenage Fanclub’s luck was changing? It seemed that Teenage Fanclub were in hurry to record their tenth album. The five members of the band went away and worked on various side projects. However, they knew that eventually, they would reunite to record Teenage Fanclub’s tenth album. When the call came, Norman Blake, Gerard Love and Raymond McGinley had written three songs each. They became Here, which was recorded at Vega Studio, near Carpentras, Provence and at Raymond’s place in Pollokshields, Glasgow. That was where Teenage Fanclub and friends recorded Here. As recording began, Teenage Fanclub’s rhythm section included drummer Francis MacDonald, bassist Gerard Love and guitarists David McGowan and Norman Blake. Raymond McGinley took charge of lead guitar. Teenage Fanclub’s friends included harpist Helen Thompson and trumpeters Nigel Baillie and Robert Henderson. Strings came courtesy of cellist Elspeth Mackay and violinist and violist John McCusker. Producing Here, were Teenage Fanclub. Gradually, Here began to take shape. Songs were honed and eventually, Teenage Fanclub’s much anticipated tenth album was completed. With Here completed, PeMa Records announced the release of Teenage Fanclub’s tenth album. It was due to be released in September 2016. Critics hailed the album Teenage Fanclub’s best album since Songs From Northern Britain 1997. So it was no surprise when the album reached number ten in Britain. Teenage Fanclub were back, with their most successful and best album in nineteen years. Six years after the release of their previous album Shadows, Teenage Fanclub return with what’s without doubt, there best album since 1997s Songs From Northern Britain. Now officially a five piece, Teenage Fanbclub return with a carefully crafted album where rocky anthems sit side-by-side with beautiful ballads. These two sides to Teenage Fanclub, combine to create with an album that stands head and shoulders above Shadows, Man-Made and Howdy! 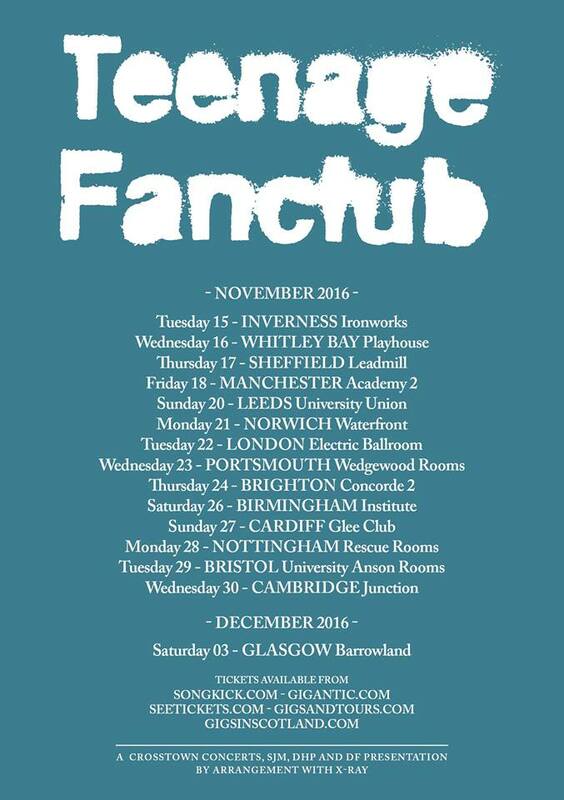 Teenage Fanclub are back, and back to their best. This is fitting. Here was the tenth album of Teenage Fanclub’s career. 2016 was also the twenty-fifth album of Bandwagonesque, Teenage Fanclub’s genre classic. However, Here was a welcome return to form from Teenage Fanclub with their long-awaited and much-anticipated tenth album, Here. It’s an album that oozes quality. From the opening bars of I’m In Love, right through to the closing notes of Connected To Life, Teenage Fanclub never put a foot wrong. The songs are anthemic, beautiful, joyous, melodic and sometimes, even have a melancholy quality. Other times, the songs on Here, are dreamy, rocky and ruminative. Always, though, the songs on Here are memorable as Teenage Fanclub roll back the years on an album that surely, must be among the favourites to win the 2017 Scottish Album of The Year Award? After all, Here marks a return to Teenage Fanclub’s golden years. These glory years were between 1991 and 1997. Back then, Teenage Fanclub could do no wrong. 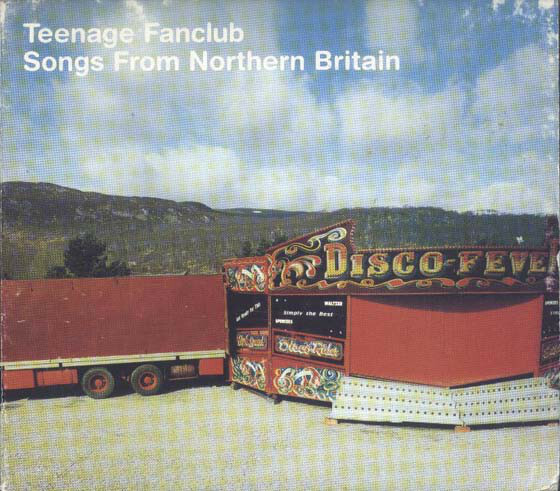 Albums like Bandwagonesque, Thirteen, Grand Prix and Songs From Northern Britain featured Teenage Fanclub at their very best, as they combined balladry, jangle pop, power pop and rock. This turned Teenage Fanclub into one of the biggest names in Scottish music. Suddenly, the boys from Bellshill were touring the world on the back of critically acclaimed and commercially successful albums. Sadly, nothing lasts forever. While Howdy! which was released in 2000, didn’t match didn’t match the commercial success of previous albums, it’s a hidden gem in Teenage Fanclub’s discography. Similarly, Man-Made, which was released in 2004, didn’t match the success of previous albums it’s one of Teenage Fanclub’s most underrated albums. However, when Teenage Fanclub returned six years later with Shadows in 2010, it marked a return to form from the boys from Bellshill. By then, Teenage Fanclub were no longer releasing an album every other year. Far from it. Ever since Man-Made, the gaps between Teenage Fanclub albums were getting longer. The members of Teenage Fanclub were spending much of their time working on various side projects. However, eventually, though, the call came, and everyone returned to the mothership, Teenage Fanclub. Their most recent album was Here, which found Teenage Fanclub’s Scotland’s big stars and Kings of jangle pop rolling back the years to the glory years of Bandwagonesque, Thirteen, Grand Prix and Songs From Northern Britain. ← SING IT HIGH, SING IT LOW: TUMBLEWOOD RECORDS 1971-1973. Caught the ‘Here’ show in Melbourne earlier in the year. An excellent ‘hits’ package with a couple of enjoyable surprises. What’s your favourite TF album, Derek? (I’d stick with long time fave, SFNB, I think).